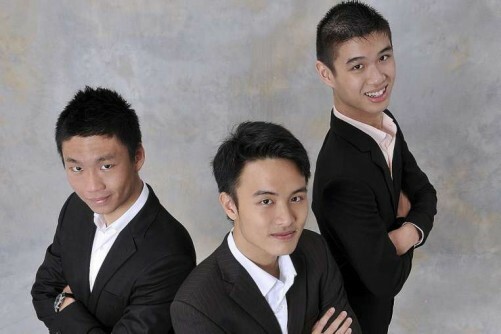 Students Oswald Yeo, Ying Cong Seah and Qin En Looi, all 21, put their education in prestigious United States universities on hold to develop this talent development start-up. Glints began last year to help undergraduates secure internships. Its new offering is to help fresh graduates or young working adults land their desired jobs by creating customised learning and internships based on available online courses and projects that they can do. This is a potential game-changer as it questions the relevance of university education. Next year will see if this idea gains traction. This capital-raising platform connects accredited investors with funds to spend and companies that need capital. It launched a pilot in the middle of this year with 10 companies and has remained under the radar ever since. However, chief executive Steven Fang has been busy promoting Capbridge in Israel, Australia and other countries. Capbridge is in what is called equity crowdfunding, where investors are given equity in exchange for funds. Equity crowdfunding for the public is not approved here. The Monetary Authority of Singapore (MAS) had received feedback from the public and the industry on securities crowdfunding but has not responded yet. Capbridge and similar companies like Crowdo and FundedByMe will be ready to offer their services once the MAS approves this investment approach. The mobile digital flea market founded in 2012 could be the next e-commerce sensation. It allows consumers to sell used or new items to others via an easy-to-use mobile app, unlike conventional online stores where brand owners sell to consumers. Investors like it because eight transactions occur every minute. Eight million new and second-hand products in categories like fashion, beauty and furniture have been listed on it. Carousell will become a bigger operation as it rings up more business with its expansion into Malaysia, Indonesia and Taiwan in the new year. Online grocer Redmart will launch in Hong Kong next year, which will be a real test to see if the start-up can build as successful a business there as in Singapore. It has used Singapore as a test bed for its business, which also includes fresh food. The four-year-old start-up has its own delivery network, which has allowed it to expand into the food delivery business. It has also hired experienced executives to ensure that the start-up is well-managed. Its latest hire was Mr Colin Bryar, formerly a vice-president with Amazon, as chief operating officer. In the past 12 months, some local start-ups made moves that bear watching in the new year. They raised a big pot of money, formulated plans to expand overseas and hired corporate big guns for management. In the process, they are transforming industries from e-commerce and industrial automation to student scholarship and talent spotting. Senior Correspondent Grace Chng lists eight start-ups, which have been selected based on their level of innovation and business traction. The online matchmaker connects businesses which want stories written about themselves to content creators. Former Business Times journalist Chan Yi Wen discovered that writers did not have a platform to display their portfolio and businesses did not know how to find writers. Bolt seeks to remove these hurdles by creating a common platform. Watch Bolt try to displace the referral system, which is the conventional way content creators meet and get work from firms. This new fintech start-up aims to make higher education affordable and accessible to all who qualify. Students go to its crowdfunding platform to raise funds for school fees or stipends. Since its launch in April, it has completed 16 out of 21 crowdfunding campaigns. Its main business is in Malaysia but it will be promoting the service to Singapore in the new year. Pledgers' donations can be as low as $1. They do not get rewarded in the form of T-shirts or new products as on conventional rewards-based crowdfunding platforms and the pledgers do not get their money back. Skolafund takes a 5 per cent commission on each successful campaign. Its success depends on the charity and goodness of people to pledge funds for the development of another person. Watch it closely to see if this bold new business idea will take root. This is one of the few robotics start-ups in Singapore. Its add-on kit transforms wheelchairs, or any wheeled trolley or push-cart into an autonomous guided vehicle. A cloud-based software takes the navigation information from the kit and handles the computationally intensive data. Competitors today rely heavily on onboard electronics on the trolleys or push-carts. This increases their size, weight and cost as additional power and processors are needed for each individual unit. The challenge is to establish reliability by ensuring the add-on kit and software work well together. Pay attention to CtrlWorks because its products cut across different industries from healthcare to logistics. This could be the next-generation real estate broker. Greyloft is not an online property classifieds but a licensed property broker aiming to introduce a new business model by combining online-offline activities. Consumers search for properties from its real estate listings and shortlist what they like. They are then paired with in-house agents who will organise property viewings and, where necessary, help to complete the sale. Conventional online real estate classifieds portals have listings but they do not enable the customers to complete the transactions. Greyloft's killer feature is the customer service provided by its property agents to complete the transaction.